Zheleznyak, O. E. (2013). Tsvet, gorod, kultura: Monografiya [Colour, city, culture: Monography]. Irkutsk: Izd-vo IrGTU. DYACHENKO, Irina. Street Art as a Present-Day Trend of the City Interior. 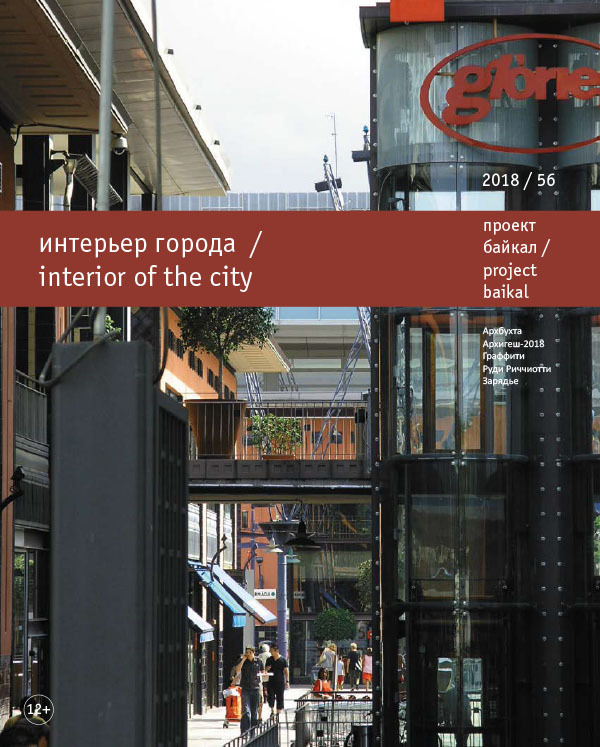 project baikal, Russian Federation, n. 56, p. 106-109, aug. 2018. ISSN 2309-3072. Available at: <http://projectbaikal.com/index.php/pb/article/view/1334>. Date accessed: 22 apr. 2019. doi: https://doi.org/10.7480/projectbaikal.56.1334.